I try to find the solution in every search engine like Google, Yahoo, etc. Finally I found this site and I can solved grub rescue problem. In my own word, if you have installed Ubuntu 12.10 you must have Ubuntu 12.10 Live CD to solve grub rescue problem. sudo cp /etc/resolv.conf /mnt/temp/etc/resolv.conf  # May be required to connect to the Internet. If the command run successfully, the terminal prompt would include ‘root’ ([email protected]:/#). 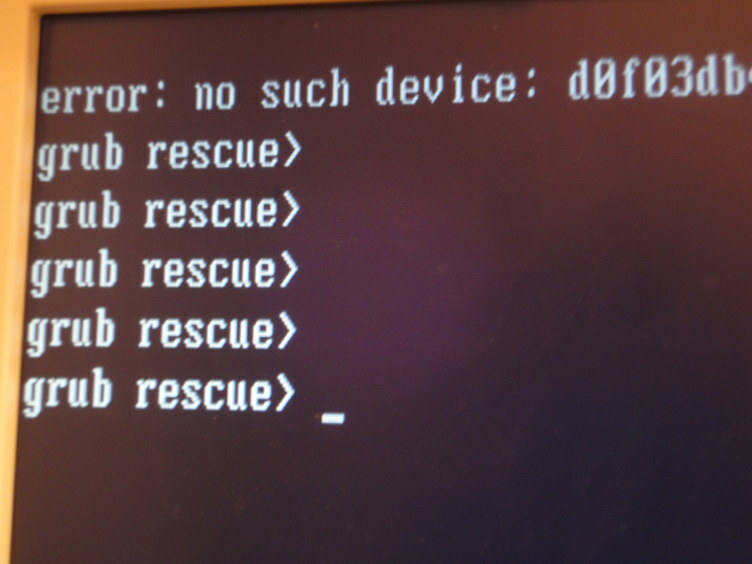 Don’t panic, it indicates that you are in chroot environment. You will be given the opportunity to add extra kernel options to the kernel line. If you don’t know, you probably don’t need them ; TAB to highlight “<OK>” and press ENTER. Read the installation notes. TAB to “<OK>” to continue. When presented with the device option, use the UP/DN keys to select the correct drive (sdX). Make sure the installation drive [*] /dev/sdX has an asterisk next to it ( example: [*] /dev/sda ). If it doesn’t, highlight it and press the SPACE bar to select it. Do not select a partition ( example: [ ] /dev/sda5 , etc). TAB to “<OK>” and press ENTER. When it has finishing the installation, you should have Grub 2 installed. Then you can boot normally and you can access Ubuntu without using live CD.